Music influences the beer that you see come to life. 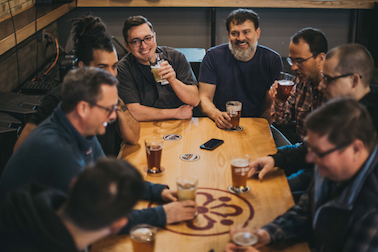 Our brewers sit down with the band to learn about their genre and what inspires them. Then, they wrap all those characteristics up into one single recipe! 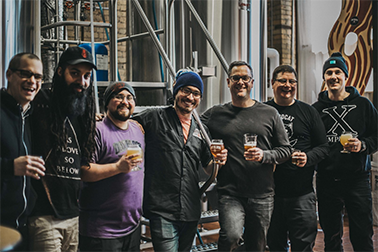 This collaborative session ignites creativity within our Minneapolis brewery as we start to get the tanks ready for brew day. Brewing days are the best kind of days. Our brewers take the time to educate the band members before the real fun begins. 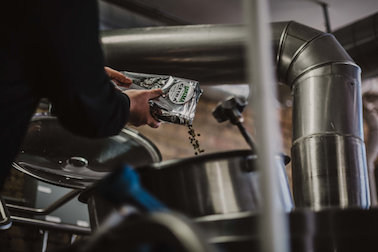 First, they start out by learning about the specific hops that will be used - the members are able to feel, smell, and learn how each hop adds specific characteristics to their beer. 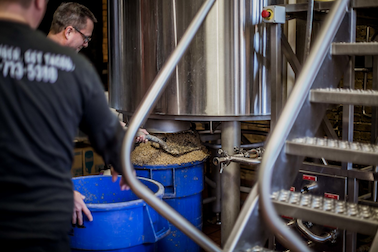 The band then helps move around the spent grain, add ingredients, test out the malts and more during the brew day to truly influence the brewing process. Our owner, brewers, & band coordinators gather around and talk all things music & brews. 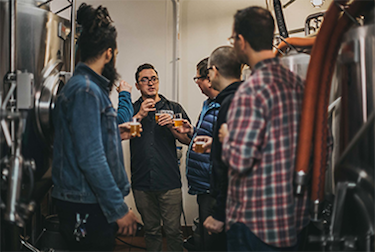 We learn more about the band such as how they got started, they get to test their beer as it's finishing up and they learn a little bit more about how music and beer power our Minneapolis brewery. And let's be real, it's never a bad time to sip on some brews and hang in our taproom for a couple of hours. The band's beer has been tapped, growlers & crowlers have been filled and the crowd files into our taproom. Event attendees are able to sip on the brew that is influenced by the music they are hearing. A sensation that cannot be replicated. Are you a band interested in brewing or booking a show with us? We book weekly live music in our taproom & would be stoked to hear from you.